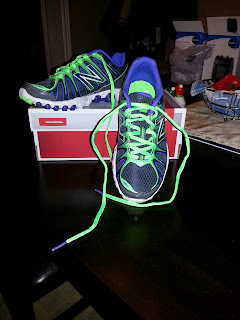 Santa came early this year and I took advantage of a Black Friday sale to pick up a pair of the newest version (version 3) of the NB Ionix 3090 running shoe (at $59.95!!). I didn't go to the store with the updated version of the shoes I already own in mind, but once I tried these on and was able to get them in a slightly wider width (D width) I was SOLD. So how does the version 3 compare to the version 2? Well..as I said to my husband, they fixed the small issues I had with the version 2. For starters the version 3 has much less inside-seam overlap/extra fabric that would cause me to get the odd hotspot on the inside of one arch in the version 2s. 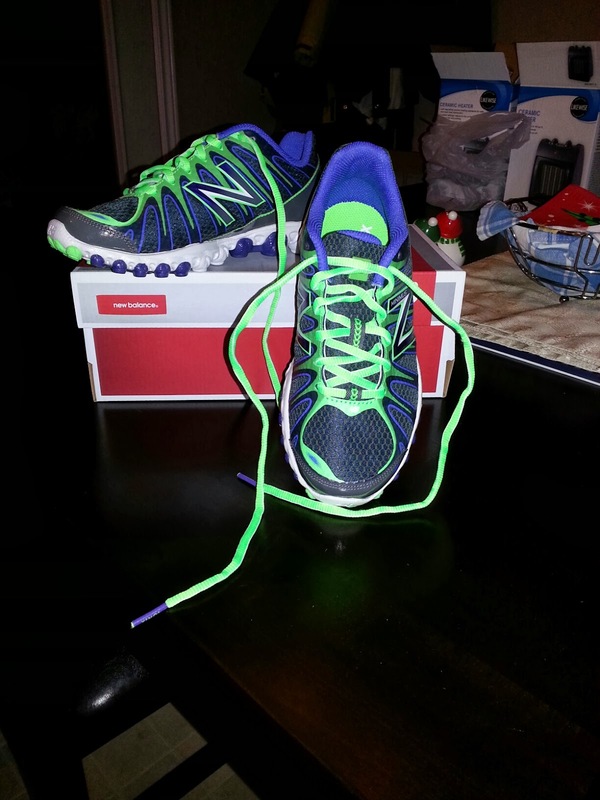 The ankle support in the version 3 is more cushioned without being restrictive, so it hugs my ankle nicely. The ankle is also higher than the version 2 (which is a good thing) and I found the tiny crushed gravel rocks stayed out of my shoe when I took these babies on the trail. The toe area is covered more with a plastic that should be helpful for keeping water out of my shoes once the snow and slush hits. Other than that, it's the same shoe. The construction of the sole is virtually the same so I found the same excellent lateral support and zero heel drop I've enjoyed with the version 2. The fit through the top and side of the shoe is the same-although I did buy a wider version, my toes have even more space to splay when I hit the ground. There is no rock plate of any kind-which for some might be a pitfall, but I don't mind, it forces me to be more aware of my surroundings when I run and I like to have some kind of ground feel. My last pair lasted about 500 miles-and probably should have been replaced at the 400 mile mark based on the amount of creasing along the sides. We'll see how long these puppies last! So far these shoes have had three runs. The first was a road and trail 5 mile combo. On the road they responded well, but I find its the trail where these shoes really shine. Without a rock plate in the sole these shoes give you excellent ground feedback on soft trail surfaces. When I transitioned to sprints these gripped the ground and responded great. The odd puddle didn't seep into these shoes, keeping my feet dry and toasty warm on a blustery day. The second run was a groggy 5 mile sidewalk run in the early morning. Again, the shoes performed great and I had no hotspots or any other issues. On the way home I cross a wooden footbridge that can be really slick this time of year. The Ionix sole pattern works great for this as I felt stable and secure (no slipping or sliding) across the whole tilted bridge (about 800 meters long). The third run was a 6 miler on an indoor track surface; here I was looking to see how they perform on tight turns since the indoor track is only about 225 meters. 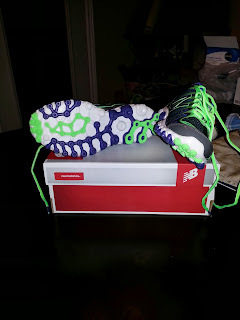 I had no issues at all, they responded fine to the turns and my feet stayed in the shoe securely, no slipping to the side or hotspots either. All in all I'm quite happy with my NB Ionix 3090 v3's. I'll give them a rare 5 out of 5 stars for fit, responsiveness, and style. I was accused of "jogging"...by my OWN child!